Any machine that feeds data into the computer. For example, a keyboard is an input device, whereas a display screen is an output devices. 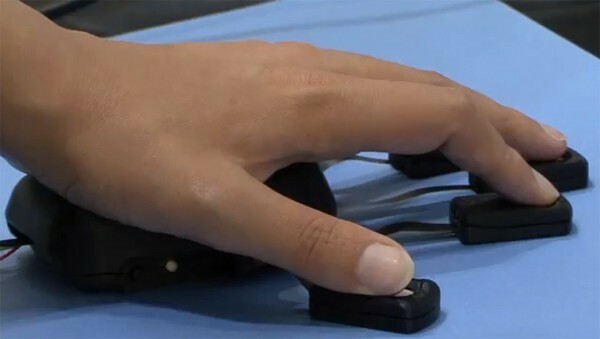 This five-finger device, called Amebno, is pressure-sensitive and can perform functions that would usually require using a standard mouse in one hand and a 3D mouse in the other. It not only registers the movement of each finger, but the pressure of each as well. That gives the device superior sensitivity and the ability to “read” complex actions from the user involving several fingers at once. 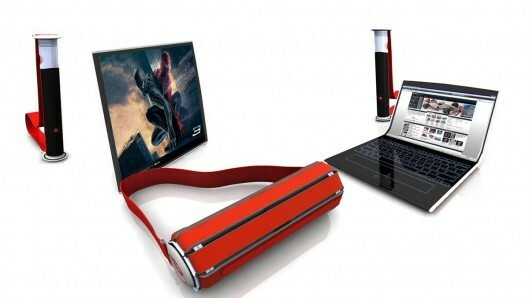 Rolltop is a portable computer development . By virtue of the OLED-Display technology and a multi touchscreen the utility of a laptop computer with its weight of a mini-notebook and screen size of 13 inch easily transforms into the graphics tablet, which with its 17-inch flat screen can be also used as a primary monitor due to the support attached to the back of the screen.